The HQ is ready to go and is just itching to churn out the quilts. 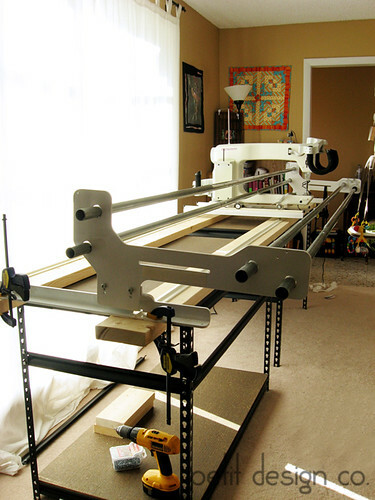 I’m so excited to have a machine that will enable me to progress as a long arm quilter. I haven’t really gotten a chance to play with it but it has already clocked in for work. I was able to whip up this custom ordered baby quilt in no time. I’m sure I’ll get quicker as I learn the quirks of my new set up. The quilts are available in my shop. Thanks so much for the series. I plan to revisit your posts many times and try some more designs. I did the cross attaching, but want to try something else. Thanks again for providing such a wonderful service. And have fun with your HQ! I've bookmarked many of your lessons, they were so well written and encourage me to try! Thanks so much. I am going to miss your series. Thank you so much for all the information and inspiration. I am forever changed by the possibilities you have presented. A big 'Thank You' for your series...can't wait to try out all the designs!!! Thank you so much for this series! 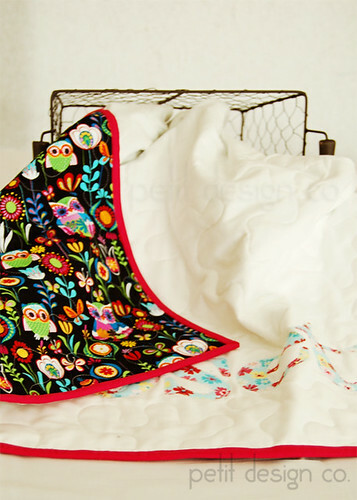 Deciding on the right quilting pattern for a quilt is always so difficult for me. I have pinned many of your ideas. I also shared this great info with my quilting friends on Facebook and Flickr. Just want you to know that there are still some of us out here trying to catch up! I am working on finishing my first pieced quilt top, and am detemined to quilt it myself. (Even though i seem to get a lot of head shaking when I say that). Anyway, your series makes me feel I can do it. So as soon as that puppy is basted, i'm jumping in! Thanks for posting this. Love, love, love this series. Thank you for sharing. I enjoyed every post.